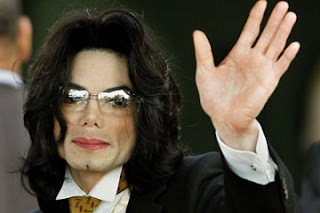 26 June 2009, one early morning at Aston Hotel, Bandung, I was shocked to receive the news that the King of Pop died. It was 25 June in LA that afternoon. 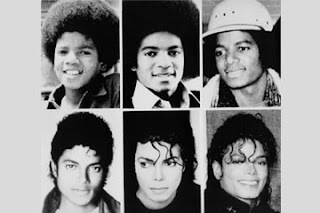 Goodbye dear Michael Jackson (1958-2009). Although we have never met in real life, I still remember vividly the dream I had with u when i was 9 years old and we were "engaged". And then u changed your face and skin colour in Bad and thats when I lost my whole admiration on u as a man but you remain one of my favourite singers/performers/artiste of all time. I began knowing u during your Thriller golden years. U wore those huge black sunglasses, and that was how you become my idol then. Just one month after his demise, God has called Yasmin Ahmad to leave the world and to rest in peace. I only knew her through her blog and she did response to some of my comments in her inbox. But I was also shocked and saddened nonetheless. Almarhumah Yasmin Ahmad (1958-2009) is survived by husband Abdullah Tan Yew Long (pic), parents, siblings and her children(?). Her movie legacy though not many but almost all have stroke a chord to many. Her last movie , Talentime was my first ever Malaysian movie that I watched at a local cinema. I considered myself lucky as I won 2 free tickets to watch the preview at Cathay Cinemaplex at The Curve with one of my Masters student, Rahimah on filling an online contest in The Star Online sponsored by SilkyGirl. It was also the first movie I watch at a theatre for 2009. Transformers II: Revenge of the Fallen was the second movie I watched with my 3rd brother., Hakeem (at 1 Utama) also on a 2-free tickets winning as I entered the contest through SMS held by MIXFm. The 3rd and the 1st movie bought on my own was Harry Potter and the Half Blood Prince. I had actually wanted to watch another Yasmin Ahmad's movie, Mukhsin 2 years ago as I was thrilled that she picked the movie tag that I felt the most suitable one as part of her movie exercises/opinion polls from the blogreaders. But the 1st 7 months of that year was a bit turbulent for me , consequently I wasnt in the mood of going to watch movies, usually by myself. Both Yasmin and Michael born in the same year, 1958 and she was only one month older than him. Yet they both died tragically in the same year, only one month apart too. These 2 genuises die early and become immortalized through their art works, songs, movies, controversies, etc. I shed tears during MJ's death, and today, I shed tears again for dear Yasmin. May God rest both of you in peace with bountiful blessings. AlFatihah to Yasmin Ahmad (and perhaps MJ too as he was announced as Muslim since November 2008). Le me see....first it was watching 1st seededRoger Federer winning his 15th Grand Slam at Wimbledon by defeating a long time underdog and one time grand slam champion Andy Roddick in 5-set "thriller". Well Fed already made a new record now as far as winning tennis grand slam is concerned. He now topped the all-time great with Peter Sampras now holding the second place winning 14 grand slams. We also seen Rafael Nadal dropping himself out of the Wimbledon tournament due to knee injury and has now become the 2nd seed. As for women's single, Serena Williams beat her sister Venus in straight set, and they both teamed up to win another winning trophy in women's double. Last month, it was a bit of jetsetting and out and about for me. 1st week of June, i was in Pahang, stayed at Legend Hotel Cherating with parents and youngest sis, went to Pekan to see some relatives and went for the 1st time to Kemaman, well all that was my 1st ever driving trip to pekan and kemaman. Surprisingly, Kemaman was really getting better and modern and we had very nice terengganu luncheon at Warung Aziz Satta at kuala kemaman. A week after that, I flew to South Korea attending 2nd MFC symposium at Gwangju Institute of Science and Technology, GIST. It is situated in Gwangju province,south west of S.Korea and it is about an hour from Gwangju City. Before we went back to malaysia, we managed to spend just a day at Seoul for some bit of shopping, well, brooches mostly. Korean people are very nice and helpful, most of them. My colleague, Puan Shahrom and I had a good time there, and I felt at home in korea in no time. There were a lot of churches everywhere and apparently christianity has become like the 1st religion there. On our way to Seoul from Jeongsan train station, Gwangju, we passed along churches after churches and even a few cathedrals too. They also have one big cathedral in Seoul city itself and just one masjid. 2 weeks later, I went to Bandung with half of the department members to attend a seminar and MOU meeting with Institut Teknologi Bandung, ITB in Bandung, Indonesia. That was my 3rd time visit to bandung and we still took time to do some few more shoppings at Pasar Baru, a 7-storey clothing and household market as well as at the factory outlets. This month marked another turn of the year and i celebrated with my 2 other nephews also born in the same month. Whats more significant is that I received quite a number of well-wishes on my Facebook site. Thats really something. I also got treated with a birthday lunch with another colleague of mine who was also my senior in KISAS and a cousin to Pak Adib, Wan Fariza. Else, this is already the 3rd week of Semester 1 2009-2010. Lotsa things to do. Oh yes, we also received visit from our collaborator from Lincoln Venture Ltd, New Zealand, Dr. Neil Pasco who then gave a one day seminar on bioelectrochemistry and single culture microbial fuel cell. Pictures of the above mentioned events will be posted later.